Street Style describe themselves as scandinavian inspired sewing patterns for women and is the clothing line of designer Melissa Hendrickson also the owner of Brindille & Twig who create sewing patterns for babies and toddlers with a focus on knit fabrics. 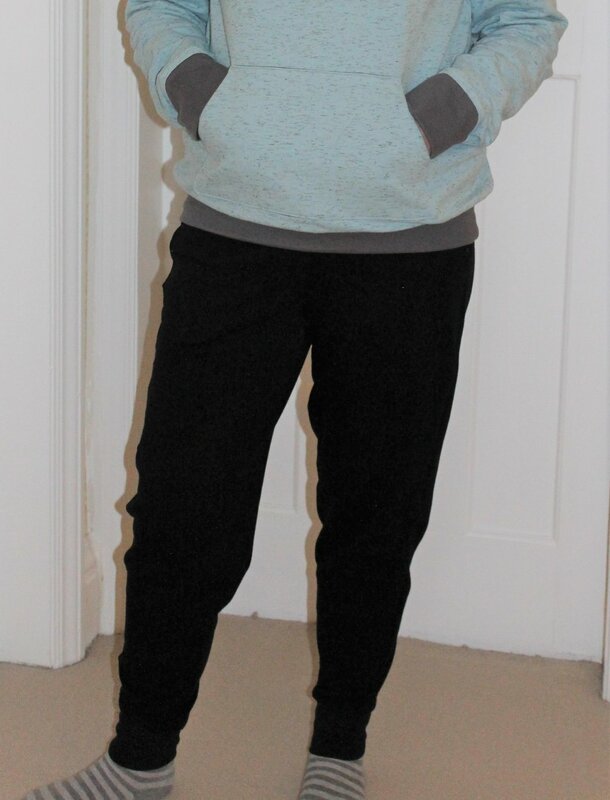 I had been trying to find good fitting casual patterns from the major pattern houses without much luck so I thought I would give them a try as I love the shape and fit of the children's patterns. The first pattern I tried was 008 Lounge Pants. They were offering a discount on Black Friday so I picked up another couple of patterns. With so much going on I have only just got around to making them up. 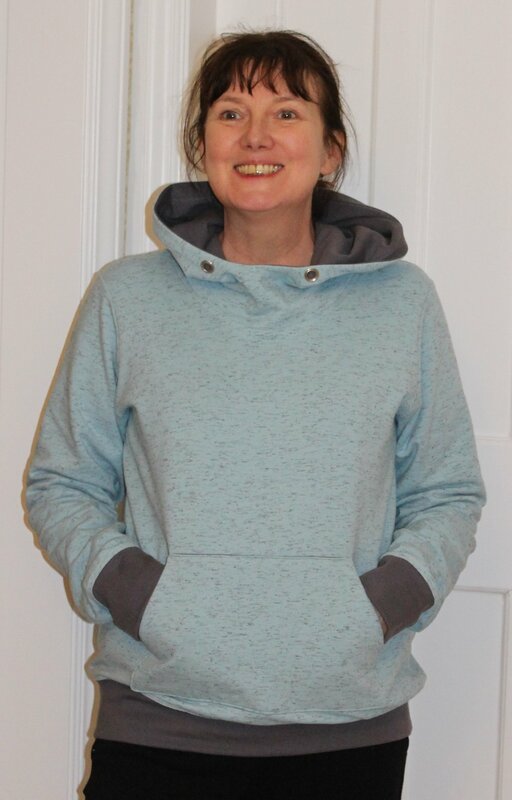 The fabric is a really soft sweatshirt fabric from Guthrie & Ghani and the rib is organic cotton from Jelly fabrics. So here with have SS021 Tack pants ans SS006 Hoodie. I always prewash knits as they do shrink. Both patterns went together pretty well. I was ultra cautious with the hoodie pocket. I marked out the corners so the shape would be spot on. The pattern gets you to fold up the bottom pocket edge once turned to right side. I sewed all around the pocket leaving a small gap at the bottom to turn as I thought this would provide a neater edge. 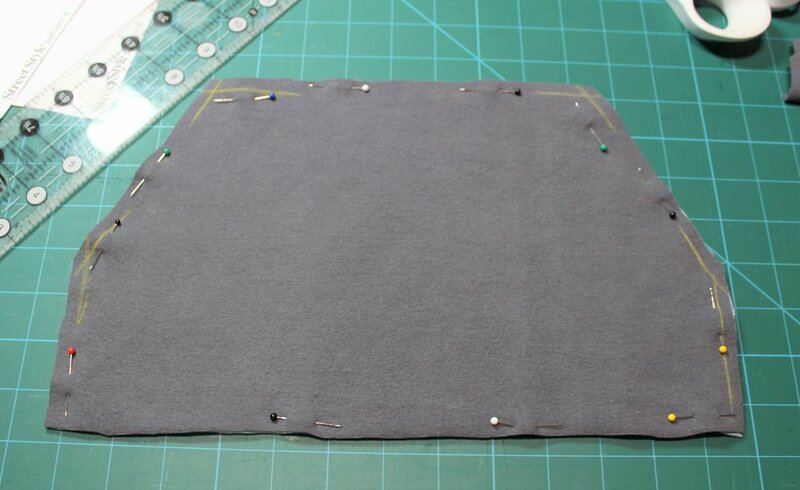 I steamed the pocket once I had sewn in place and it looked great. The track pants sit high on my waist but for me that is how I would want them to unlike the lounge pants which sit much lower down. I have broad shoulders and long arms so I tend to go up a size. However, I have very slim wrists so for me the cuff didn't sit tightly enough around my wrist. I would certainly make all three again. The only issue I have is that I can't find soft flat tubular drawstring in the colours I want.